NHK, Japan’s public broadcaster, is already making programmes in 8K (16-times the resolution of HDTV) in readiness for a launch of services later in 2018 and in general readiness for the Tokyo Olympic Games in 2020. Now it seems that electronics giant Sony is also preparing for 8K. 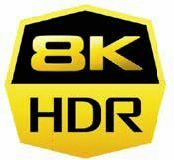 The electronics giant has filed for an 8K-HDR trademark which covers Europe, the US and Japan. Reported by Large Display Monitor (LDM), and first revealed in specialty publication FlatpanelHD, the trademark application went through in October and covers “Television receivers: LED displays”. LDM suggests that the timing of the trademark application could suggest that Sony might have something up its (rather large sleeve) which it might reveal at the upcoming CES trade show in Las Vegas.